Fast matching within ,the wireless bluetooth headphones perfectly compatible with all devices with Bluetooth function phone. Neckband structure designed by ergonomic , soft and comfortable to wearing.Has a magnetic which keeps the earpiece attached to the neckband, very convenient to carry around when it is not in use. TWS FEATURES Double machine use(Connect 2 phones / TWS dual machine USE), TWS Dual machine, that is, a mobile phone can connect a headset, and then the host automatically match another headset. Wireless Bluetooth Neckband Headphones Contain the Best New Technology,Providing High Quality Stereo Sound with an Intelligent Ambient Noise Filter for Crystal Clear Calls and Music. PREMIUM DESIGN: The Bluetooth Headset Ergonomically Fits to Your Ears, Providing a Comfortable and Secure fit. The Neckband is Fully Flexible for More Comfort. The Ultra-light Weight is Perfect for Driving, Sports, Exercise, Running, Jogging, Workout, Office, School and Travel! 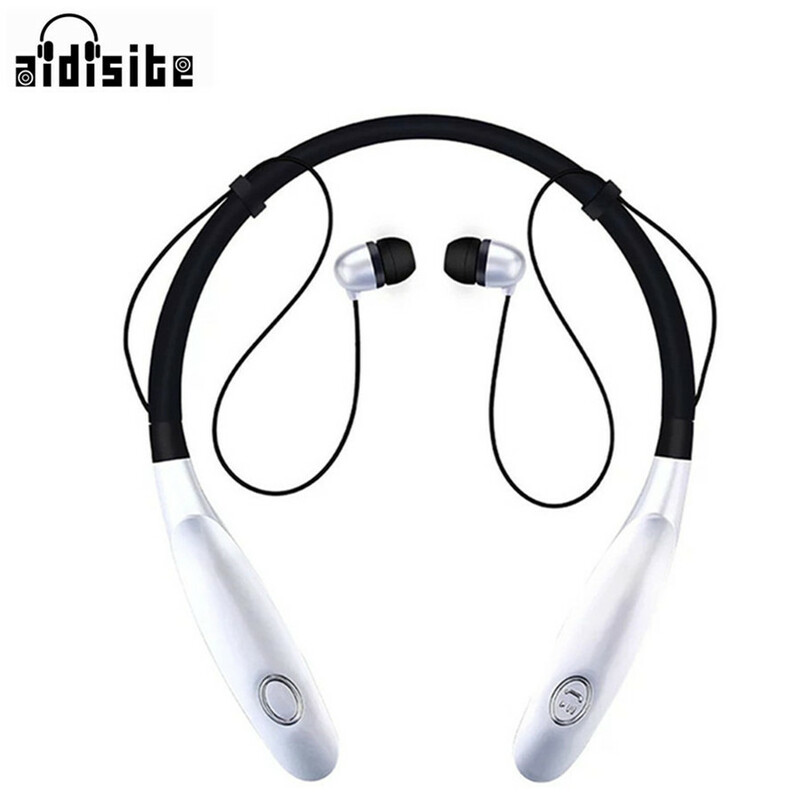 Portable, neck hanging ear plug type, this wireless bluetooth headset is the necessity for outdoor tour pal ,sports enthusiasts,drivers, offices and others. PREMIUM FUNCTIONS: The Wireless Headphones Support Dual Bluetooth Pairing and Are Compatible with All Bluetooth Enabled Phones and Other Devices! Built-in HD Microphones is Safer and Easier for Running, Sports, Gym, & Exercise! PREMIUM BATTERY: Built-in 350mAh Polymer Battery can Provide 15-20 Hours of Talk & Playing Time and 250 hours of Standby Time. COMPACT & FLEXIBILITY: could be bent in all shapes and easily fit into your pocket. Charging time: 2 hours,Standby time: 250 hours ,Play time: 15 -20hours. Russian Friends Pay Attention Please! Please fill in receiver’s full name in the order due to new policy of Russian customs,otherwise you probably won’t receive package finally. We are not responsible for nondelivery caused by that client don’t provide enough information when making order. We ship to Worldwide,except APO/FOP. Items are shipped from China via Airmail,reach most of the countries within 15 to 25 business days. 12 months Warranty.Buy with confidence! If item is defective in 3 months,We will send you a replacement without extra charger,or offer refund after we receive the defective item. If item is defective after 3 months,you can still send it back us. We will send you a new one after receiving the defective item.But you have to pay the extra shipping fee. We will leave POSITIVE FEEDBACK after receiving the payment.Please contact us if you are not satisfied with the item after receive it. All emails will be answered within 1 business day.If you do not receive our reply,please kindly re-sent your email and we will reply to you as soon as possible. Serious Buyer Only!Please place bid only if you agree with all the terms.